NASA is working on a submarine but not just any submarine, one that will be sent to Kraken Mare, the largest ocean on Saturn’s moon Titan. Ever since the discovery of Titans earth like habitat, with clouds, an atmosphere, and a large ocean that may hold life, its become a mission to go to that moon and NASA is planning a trip there. “To determine if hydrocarbon-based life is possible on Titan,” said Jason Hartwig, a NASA cryogenics engineer, in a presentation at the NASA Innovative Advanced Concepts Symposium in Raleigh on Wednesday. 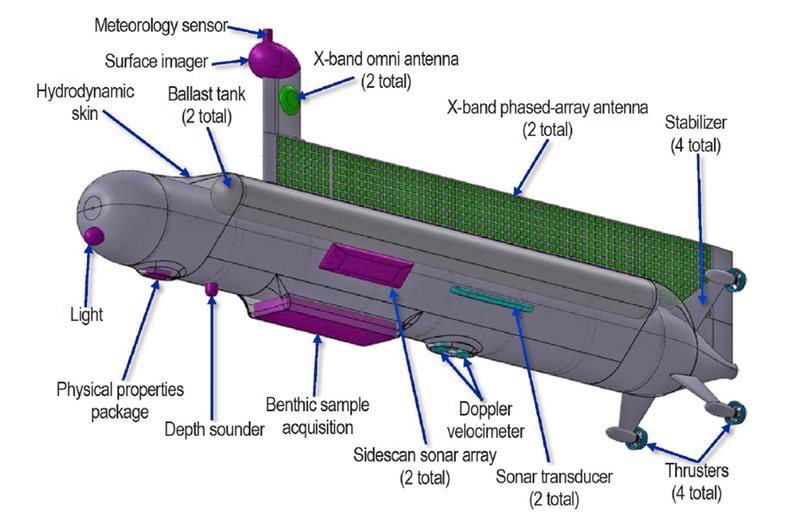 Hartwigs Titan Submarine would be fully autonomous, of course, and would carry instruments to measure the chemical composition of Titans ocean and the structure o the ocean floor. A mast on top of the submarine allows it to communicate with Earth. The sub would have resurface to send data to Earth. There are numerous problems that would be faced on Titan. Somewhere around the 450-500 meter mark we may start to freeze,” said Hartwig. Hartwig and his team are working on a way to fix this problem. If Titan is like Earth then many life forms may be hidden in the depths of the Ocean, therefore its crucial to get the sub 500 meters or more below the surface. The project is in a planning stage and most likely wont occur for more than a decade. Though its going to happen sooner or later and we will either find life or walk away with enormous knowledge on the moons habitat.